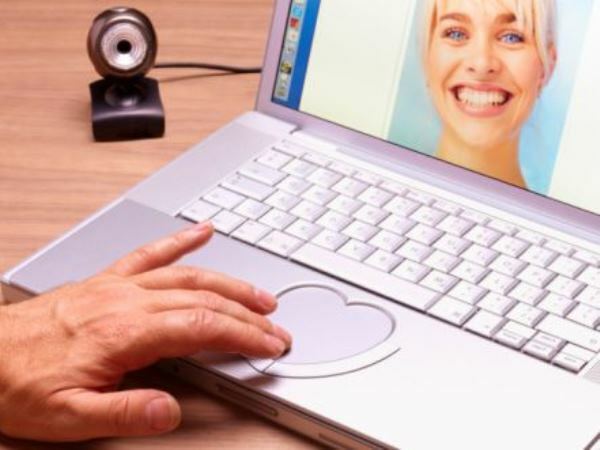 The victim in an alleged online dating scam was “very, very angry” when a woman he was supposed to fetch late at night from the Cape Town International Airport, did not pitch, a court in Cape Town heard on Wednesday. To calm him, and regain his sympathy for her, the blonde woman named Joy, supposedly from Durban, sent him a photograph of herself in tears over the alleged deterioration in health of her seriously ailing mother, the victim, Kuo-Sen Liu, told the court. Liu, from Milnerton in Cape Town, testified at the trial of alleged online scamster Nigrian Muyiwa Obafeny, 35, in the Bellville Specialised Commercial Crimes Court. Liu told the court he surfed the internet early last year for an online friendship that, he hoped, would blossom into a romantic relationship. He started chatting to a woman who gave her name as Joy Dlodlo, who said she was a New Zealander caring for her ailing mother in Durban. Liu added: “She said she had a house at the Strand, near Somerset West, but lived with her sick mother in Durban. “She asked where I lived, and I said in Cape Town. “She said she wanted to come to Cape Town for a job interview, and to fix her father’s Trust Fund. “She asked if I had a car, and I said yes. “Then she asked me for financial help - she needed R860 for an air ticket to Cape Town, but I only had R600. He said he made the point that he wanted his R600 back when they met in Cape Town. Liu told the court: “I was to fetch her at 23:45 that Monday, at the airport, but she didn’t pitch. “I was very, very angry, and sent her an e-mail. “That Tuesday, she sent me photographs of herself by gmail, and told me a whole story about missing her flight because she had to get her sick mother to hospital for an emergency. “I felt sorry for her, and sent her an e-mail saying how sorry I was about her sick mother. The photograph, of a young weeping woman, with long blonde hair, was handed to the court. Liu said the chat continued, and she again asked for a plane ticket to Cape Town. At this stage, she offered him 40% of her father’s Trust Fund, supposedly amounting to $1.5m, which translated to about R15m. Obafeni allegedly created online profiles of wealthy people and groomed vulnerable victims before asking for money for false emergencies. The profiles included photographs and personal information to bolster credibility. According to the charge sheet, Liu started chatting online to Joy, on the website www.zoosk.com. Joy falsely informed him that her father Jacob was in New Zealand and needed to transfer money to her but that she needed help to clear the money. A bogus agent contacted Liu on behalf of Joy, and a bogus home affairs official falsely informed Liu that R21 740 was needed to ensure safe travel to Joy with the trust money. Liu paid the money, and a "customs official" undertook to help provide an anti-money-laundering certificate needed to "release" the money for Joy. For the certificate, the "official" asked for, and was paid, R35 690. Liu was also duped into paying an additional four amounts – $1 300 (about R 15 896) for stamp duty, and R697 000, R35 000 and R15 000 - into Obafeni's personal account. Obafeni was arrested in Maitland, Cape Town, after allegedly asking for yet another payment. After the arrest, Liu did not hear from Joy again. Obafeni is out on R10 000 bail.